The Alboin from GEPIDA is well known in the industry for being one of the top commuter bicycles available that uses the BOSCH crank drive system. For the price, there is nothing comparable using the same electronic ebike system. 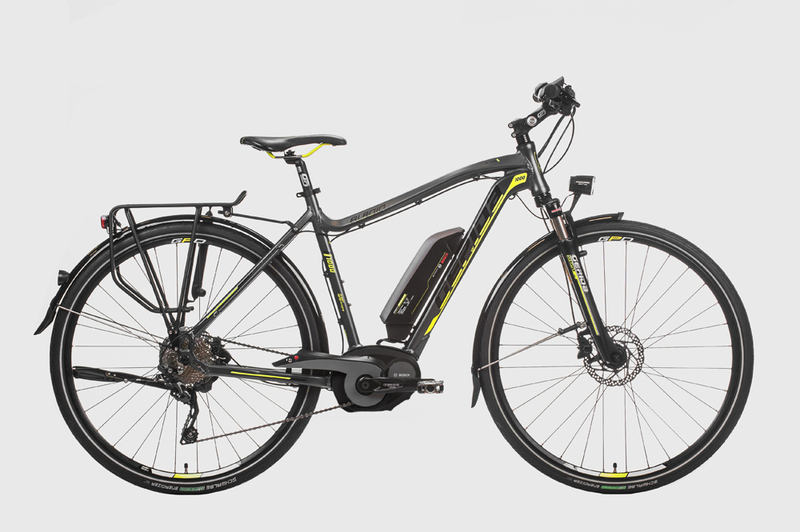 It runs SLX-10 from SHIMANO as the gears, has a soft fork, lights, rack and other aspects making it designed to be a road commuting or trekking ebike. It was the highest ranked trekking electric bicycle from CHOICE magazine in 2015 and there is a good reason for this.